We'll put in a special order, which can take 2-3 weeks to reach you. This item cannot be returned unless it is defective, or there's been a mistake in fulfilling the order. Intended for courses in Youth Studies found in Sociology, Social Work, Social Welfare, Adolescent Social Psychology and Secondary Education Departments. This text is about young Australians in the 21st Century. It takes a sociological lens to the youth phenomena across a broad range of themes and topics, focusing on youth as they interact in their communities. Young people are viewed living and interacting with their families, age peers, friends and lovers in their local and virtual communities. The text emphasises the different experiences of specific cohorts of youth interacting with education, the labour force and a range of social institutions. Cultural practices of youth, including the consumption and creative use of popular culture, are considered. 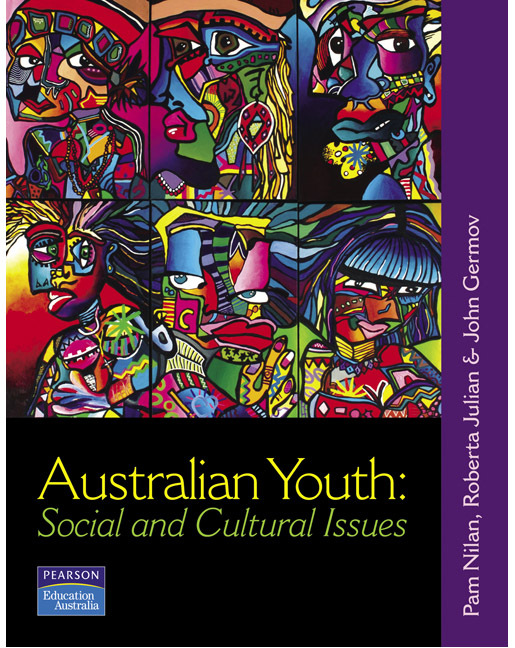 Australian Youth takes the view that young Australians in the 21st century face different challenges to previous generations, and are actively devising new ways of managing risk and social complexity. The style of this text is accessible and informative, engaging students with visual stimuli and general discussions that focus on the major themes of the chapter. The text does not assume a background in sociological theory, rather theoretical points are carefully explained where used. Furthermore, the text refers to many disciplinary paradigms from fields other than sociology. Each chapter contains a glossary of key words and definitions, a set of discussion questions along with suggested essay topics. Further reading lists and references (including online resources) conclude each chapter. Dr Pam Nilan is an Associate Professor of Sociology at the University of Newcastle. She teaches in the area of sociology of youth, development studies and social theory. Dr Nilan has published widely in the areas of youth culture, school-to-work transition and gender. Her research interests are in youth studies in the Asia-Pacific. Associate Professor Roberta Julian is the Director of the Tasmanian Institute of Law Enforcement Studies (TILES) at the University of Tasmania. She has published widely in the areas of immigrant and refugee settlement, ethnicity and health, globalisation and diaspora, and the relationships between class, gender and ethnic identity. Dr John Germov is a Senior Lecturer in Sociology, and Deputy Head of the School of Humanities and Social Science at the University of Newcastle. Dr Germov has published widely in sociology, health and food sociology. His research interests include cultural sociology, management sociology, health sociology, food sociology, and the sociology of education.